Pretty fields with the creek just beyond the trees. 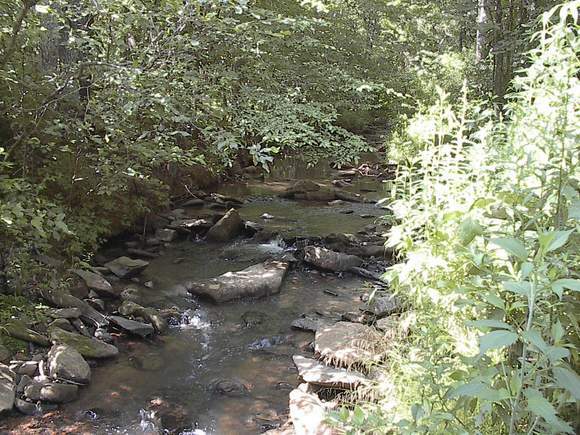 Russell Creek runs thru the property, too. 23 pretty acres at the end of a state maintained road . Very private. 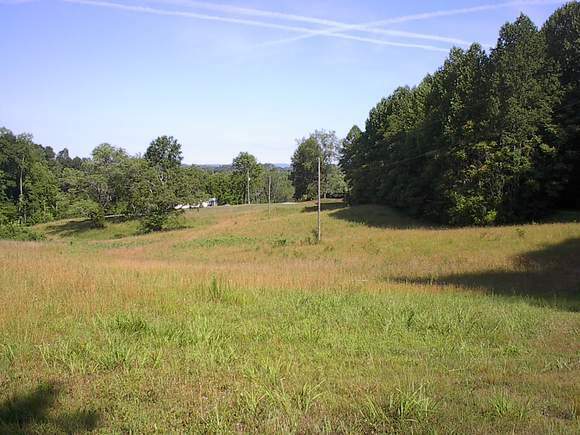 Located south of Stuart, VA, this tract is secluded yet close to town. Beautiful setting! 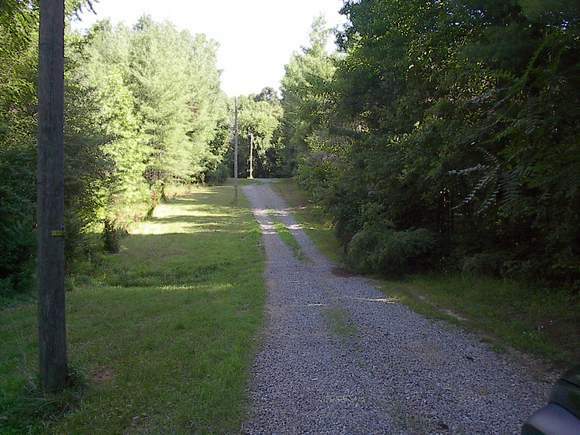 There is a long driveway that cuts thru the woods, then opens up to pretty fields. And there are mountain views, too! 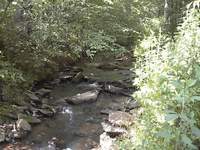 Plus Russell Creek, a bold stream, runs thru the property as does another branch. Well and septic are already in place. 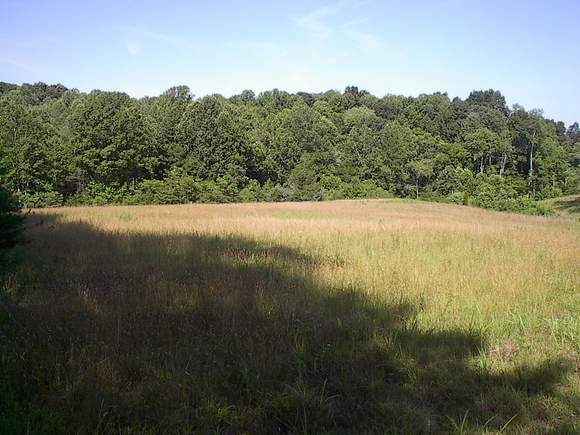 Perfect for a horse farm, cattle ranch, orchard, large gardening, or just to enjoy the peace and serenity. No restrictions! Long driveway cuts thru the woods. Looking back at Bull Mountain. 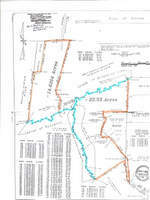 Mobile home can be purchased separately or will be moved. 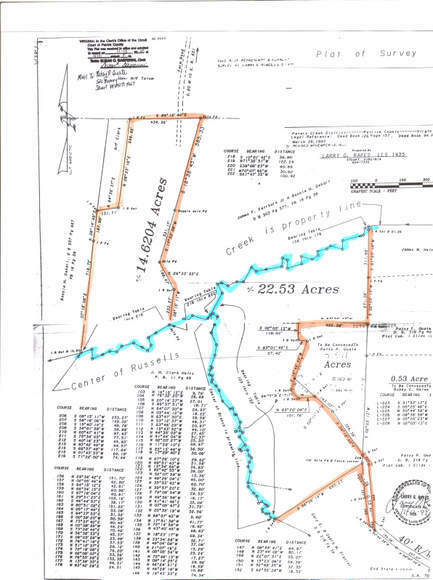 Plat of 23 acres showing Russell Creek.